Originally started as a high school cover band back in 2005, rocking out to the likes of Metallica, Judas Priest and Iron Maiden, it isn't hard to understand Freedom Slaves evolution into a hard rock outfit come 2012. The self-titled debut is close to a commercial affair, as the Italian five-piece cycle through the popular sub-genres, hopeful in getting close to future chart-topping gold. There's a few dazzling moments of artistry too, veering into progressive territory, like Dream Theater's earlier work on Images And Words. 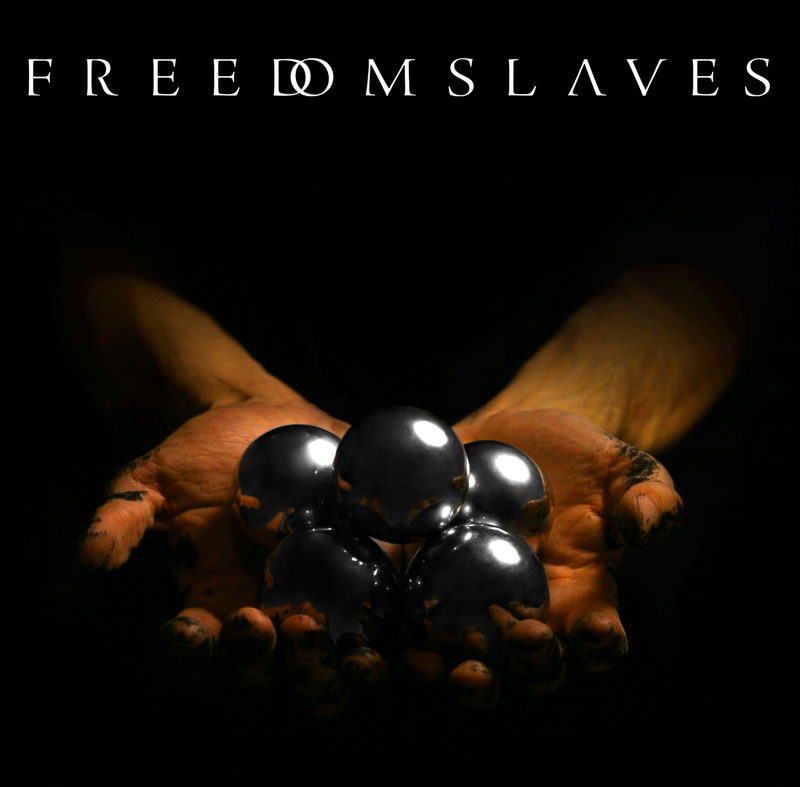 Normally, this kind of rock is restricted to melodramatic climax, and Freedom Slaves isn't much different, full of big choruses, larger than life lyrics and chunky guitar breakdowns. There are a few problems, particularly on the vocals production which can muddle the experience when it's expected to be crystal clear. The guitars and vocal often compete with one another, and it's difficult to know when you should be singing along with a power chorus, or playing air guitar with the guitar riffs. Yet, on the whole, this self-produced debut is polished; it sounds big and weighty, like the American bands they've been inspired by. As it happens, Freedom Slaves sound unafraid throughout and they know how to put together an effective headbanger. With the exception of a few misplaced riffs, the clarity of their work is promising and their balance in the commercial and artsy is more of a fine act, than it is indulgence. However, it's unlikely they'll make much of an impact on the hard rock scene with an album loud and tribute-like, that will attract some and repel others.